"Lack of representation makes our work invisible—a job that isn’t seen has no value." My name is María Fernández, I am Mexican and I am a domestic worker. I decided to participate in La Colectiva because I needed work. The first time I came to a meeting I identified with the group immediately. They were talking about labor rights, specifically those of domestic workers, and of the problems they go through for not being included in the country's labor codes. And because domestic work is not in the labor codes, I can't prove that I do a job and offer a service – there is no official labor relationship with the employer. I don't have health care, vacations, or sick days. And that's where the differences arise, in salary, with race, for being a woman; harassment – psychological, sexual; and even threats for any issue that comes up on the job. 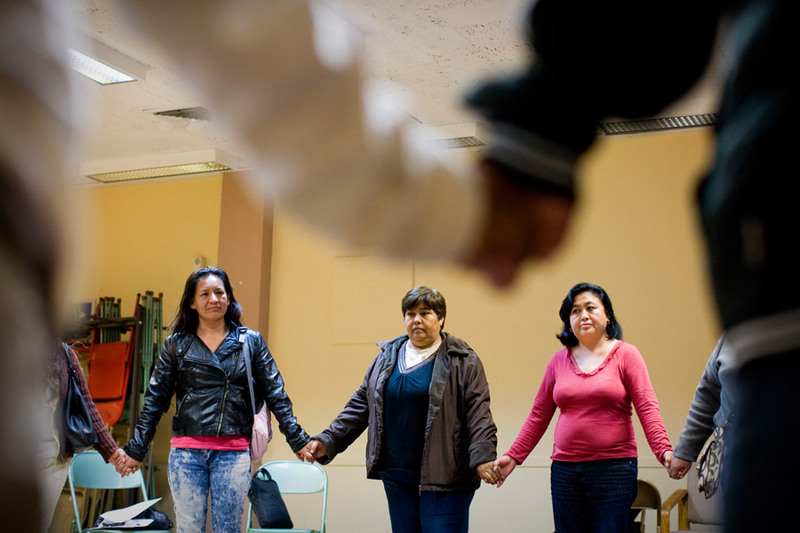 In New York a few months ago they won a Bill of Rights to protect the rights of domestic workers. But in California, we don't yet have any law like this. And that makes our work invisible – a job that exists but isn't seen and what isn't seen has no value, no value of any kind.We are working on a bill similar to the one that New York approved. I wish for this to be approved. That we can then have a law that protects us as workers. We want there to be a law so we can have paid sick leave and recognizes our work as dignified and necessary. Recently, we got a resolution approved at the local level here in San Francisco and on a state level in California that recognizes the work we do. As members of the National Domestic Worker Alliance, we are working on passing an agreement with the United Nations and it's International Labor Organization so that our work is recognized and protected at the international level.